In this section, we’re going to use what we’ve learned about the past to think about the vision of the future. Through analysing what we’ve learnt so far, a touch of market knowledge from the directors at Market Dojo, and a dash of foresight as to what we think the future holds for eSourcing, we should be able to adapt to any changes in the market/technology. So how do we prepare ourselves? How do we mitigate the risk of becoming “just another” large provider? There are many interesting aspects we need to look at in regards to this and a number of potential concerns we need to be aware of. There have been recent changes in how Google perceives websites for ease of use with mobile devices. With respect to this and the future of design, we need to make sure we are responsive, searchable and usable across the mobile technology of the future. This is the biggest unknown and potentially the biggest competitor (at the moment, our biggest competitor is still email). Will this develop enough and become intelligent enough to make eSourcing applications obsolete? To mitigate this risk, we must do as any other successful modern SaaS provider and focus on the last ‘S’, not to mention being dynamic in our R+D. We must ensure that our support is second to none on areas where strategy is crucially important. We predict that long gone will be the days of short-sighted support functions. Instead the main differentiator in industry will be support personnel who focus on resolution of queries instead of simply noting them. Training/help desk/light consultancy is where the battle may be fought. Although this does not mean there is a need for consultancy alongside our offering. The ability to integrate between solutions is already possible, but in the future it is set to become even more simple. We must look at ways to make it even easier to integrate with any product through standard connectors so that best of breed becomes as attractive as an ERP solution. There seems to be a current trend at the moment within procurement software for Venture Capitalists to throw money into investing in particular areas such as P2P and eInvoicing. To help us stay ahead of this, we must keep focussing on our USPs by continuing to provide an easy to adopt, completely transparent pay-as-you-host pricing model. That is how we will aim to combat this type of competition along with our friendly one-to-one service. eSourcing and P2P are fundamentally different. One is strategic. One is operational. It is unlikely that these eMarketplaces are going to be in direct competition with our focus on eSourcing. Moving from slick user interface to ‘no user interface’, as per this Coupa article. A rather controversial idea, but we can see some logic that instead of having to log into a tool every day, instead it fits around your life so you can interact with it outside the tool, e.g. suppliers responding to events via email with auto-doc upload/download, auto-messaging, auto-comparison of bids, etc. As technology develops and the knowledge of eSourcing expands, the number of people using eSourcing will increase. We will hopefully begin to see true commoditization of the process and tools, so it really does just come down to price in the lower end of the spectrum. Eventually, it won’t just be large and medium sized enterprises utilising eSourcing, the smaller SMEs will be aware of and embracing it too. Centralised eSourcing teams move in conjunction with local self-serve teams who even use the tools to get quotes on low value tenders of a few hundred pounds. Voice Activation Keeping up to date with developments eg. Google voice, Siri, etc. and how this may possibly impact us. Geo-locational sourcing So you can find better suppliers locally and search locally. Integrated market information Such as global new stories and how they affect your sourcing events. More focus on AI The software could take actions when it ‘thinks’ it is needed. e.g. delay an auction due to lack of liquidity, or suggest a better lot structure based on the bids received. More automation So the software will actually create and publish events without you needing to do anything. Newer, more flexible technologies As technology continues to grow and develop, we need to ensure we keep up to date with the latest news and trends and ensure that our product move in line with this. Commoditized combinatorial, expressive and transformational eAuctions Making this usable to the majority. Interactive content In relation to how we market ourselves, we must ensure our content stays in line with technological changes and becomes more interactive. Developing Countries Competition from these countries is vastly improving and we must not overlook them. We can counteract this by keeping our development dynamic and increasing our brand marketing strategies. We must also market to these countries and think about ways to collaborate with as well as repel competition. 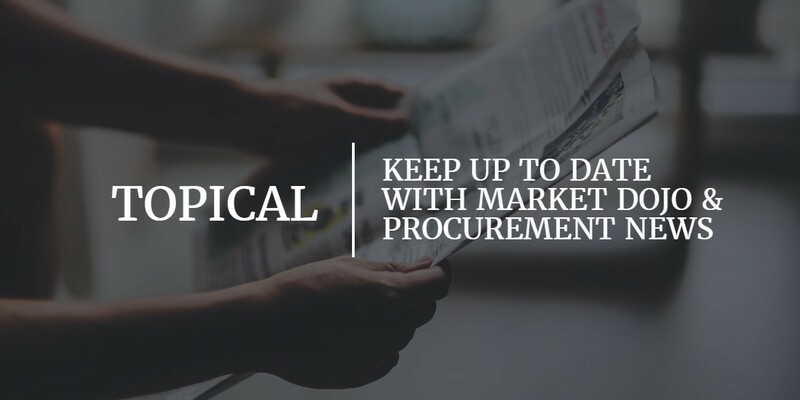 Public Sector Procurement A big shake-up in the public sector software market to disrupt the legacy tools with their complex workflows and procedures to be a slick tool that people enjoy using. IT will no longer play a part in the selection of SaaS tools No more 100-page RFIs asking what software stack SaaS software is using and what the data hierarchy looks like. Security barriers Utilising new technology to address these and make eSourcing even more accessible. Marketing How will people find us in the future, compared to how they find us now? How will the power of search change in the future? At the minute, the focus is on Content Marketing, but what next? Exciting times lie ahead of us at Market Dojo. In hindsight, with what we have learnt from looking at the past and analysing the potential future of an older Market Dojo, we must continue to pro-actively develop, adapt to and overcome any fluctuations in the ever-evolving technological environment, whilst remaining true to our brand values. The latter is very important. By embracing new technologies to enable more seamless integration with other providers, we should be able to remain true to our original ideologies of putting the customer at the forefront of everything we do, whilst making our product as easy to adopt as possible and bringing eSourcing to the forefront of every business.